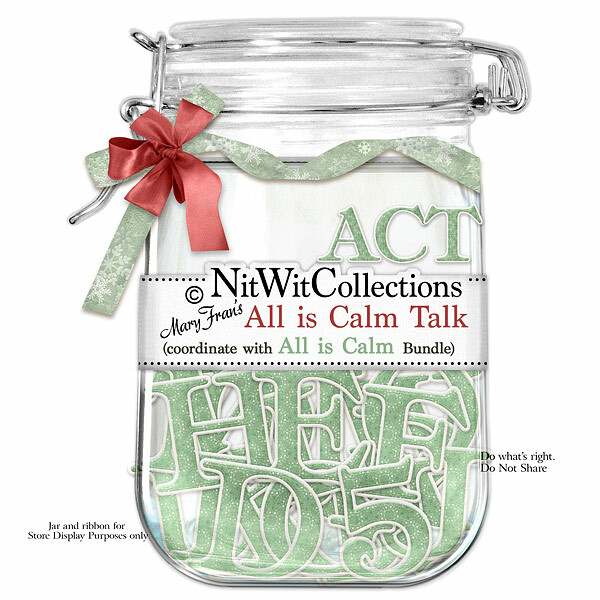 "All is Calm" Talk is the perfect way to bring forth your names, phrases, dates, etc. in your digital scrapbooking layouts and cards. Bring these personalized details to the forefront....you'll be happy you did! 1 AlphaWit set of uppercase letters, &, apostrophe, exclamation mark, question mark and set of numbers (0 to 9).